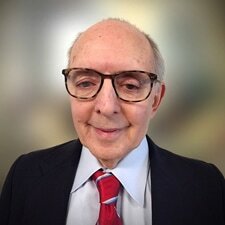 Arthur L. Goldberg, JD, MBA, CPA; CFO and COO. Art’s career as a CFO and COO spans industries and includes publicly traded and privately owned retail, manufacturing, distribution, professional service, software development/high tech companies and not-for-profits. He is now leading the financial initiatives that will propel Bellrock’s growth in the advanced healthcare analytics field. As a diversified business executive, he has led budgeting and planning efforts, both cost reduction and capital-raising initiatives, staff development, contract negotiation, and a number of results-centered managerial activities. Among his accomplishments are refinancing $300 million of bank loans, closing $125 million of IPOs and secondary offerings, as well as multiple domestic and international M&A, license and joint venture transactions. He has negotiated and closed $300 million of domestic and international product purchase and sales contracts and leases. In addition, his leadership resulted in capturing $6 million profit improvement from renegotiating contracts and systems improvements, and facilitating six-fold revenue growth in two years by building or reengineering infrastructure and establishing new IT and HR departments.